Ned Flanders: Now, Rod, you order anything you want for your big 10-0. Rod Flanders: Million-dollar birthday fries! Uncle Moe’s Family Feedbag Server: Uh-oh! Maude Flanders: Moe gets so excited when you order his million-dollar birthday fries he just has to celebrate. Moe: Here you go! Here I am! Uncle Moe! Thank you, ma’am! This’ll be a treat! Uncle Moe! Here I am, while you eat! …Please take the fries off my head, kid. The basket is extremely hot. Ok, yes, I didn’t put the fries basket on my head. I had enough trouble just getting the sparklers to work because they set off the fire alarm in my house – oh and the alarm told me that both fire AND carbon dioxide were detected. I’m frantically trying to get a picture while the alarms blaring, this was not the time to put a hot basket of fries on my head. Anyway! Here, at last, we come to the end of Uncle Moe’s Family Feedbag. What a long (long) strange journey it has been. Of course, I had to end on a high note: Flesharitos! 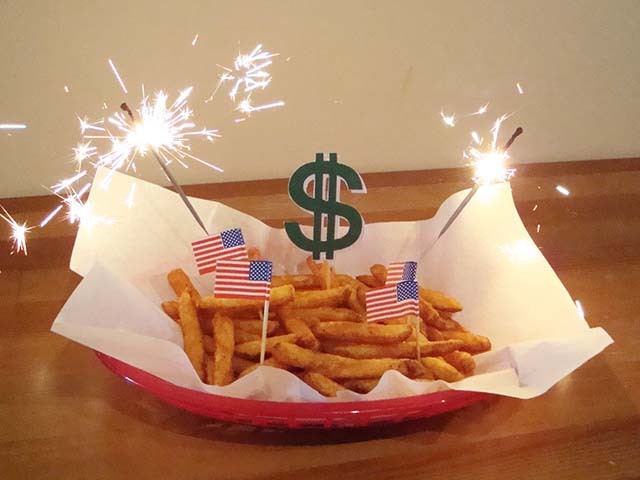 Wait, no, I’m ending on Million Dollar Birthday Fries, complete with American flags because I totally forgot to include the flags in almost all of the proceeding recipes I made for Moe Madness. There are many variations on how to make delicious French fries online. Opinions vary widely on how long to soak potatoes, what the cooking temperature should be, and how long you should fry. But there a few constants: always use russet potatoes, always soak and thoroughly dry your fries, and always double fry. 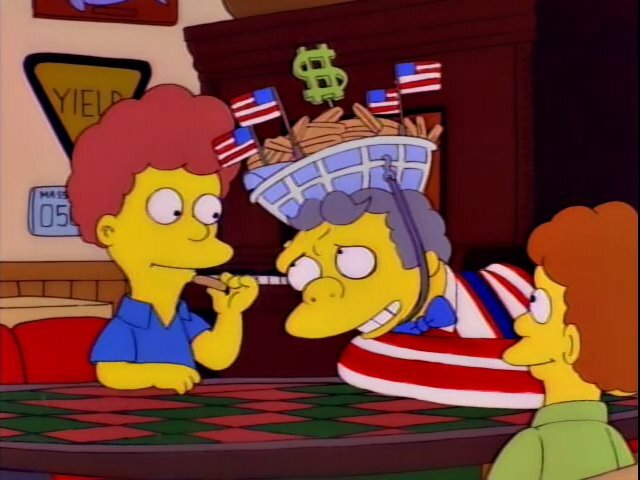 …or you could just use frozen fries, which is exactly what Uncle Moe would do. 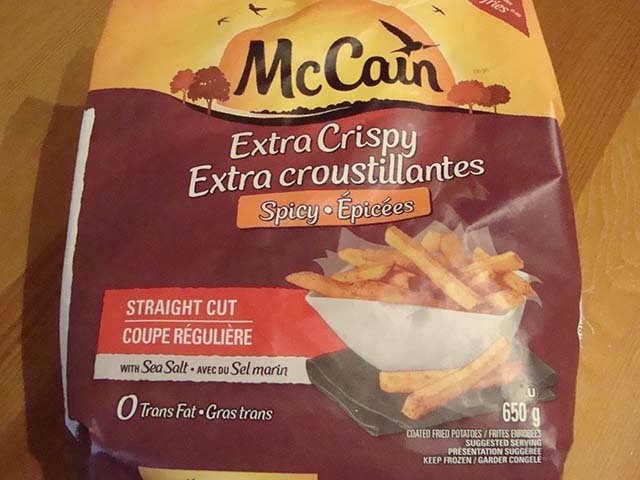 Note: my Million Dollar Birthday Fries recipe is just a guide – you might be using a different cooking oil, temperature, and so on. Cook the fries for approximately 3-4 minutes (this depends on how many fries you’re cooking, what temperature you’re cooking at) and remove them from the oil and set aside. Crank the temperature of the oil to 375F and fry those fries for an additional 2-3 minutes or until golden brown and crispy. Avoid eating this off someone’s head as the basket is extremely hot…or so I’m told. Great suggestion. Guess I’ll have to do another round of Moe Madness next year!